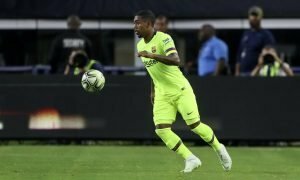 Rafinha Arrival At Spurs May Lead To Walker Exit | The Transfer Tavern | Where football transfer rumours fly or die! Originally linked with a move to White Hart Lane during Harry Redknapp’s time in charge, Genoa’s loanee attacking right back Rafinha could be set for a switch to Spurs under new boss Andre Villas Boas. The 27-year-old Rafinha offers a more attack minded approach than Spurs’ current right back Kyle Walker. Whilst Walker has certainly proved his ability to get forward as a traditional right back, interest in both Rafinha and Michel Bastos suggest that AVB could be planning to implement a new formation that could see Spurs play with two wing backs in what is likely to be based on a variation of a 5-3-2 system. It is likely that these changes will only really take place if Tottenham capture both Brazilians, leaving Walker’s future in the Spurs squad in some degree of doubt. 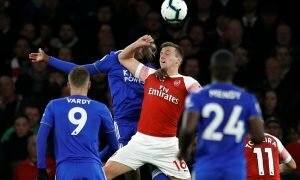 Walker can be deployed at centre half and whether this is something that Villas-Boas has in mind for the England international remains to be seen. However Walker may feel more comfortable in the right back role and could seek a move away from White Hart Lane should Spurs snap up Rafinha. Arsenal or Chelsea could emerge as favourites to sign the 22-year-old, with both clubs likely to be offer Walker Champions League football in addition to a role at right back.